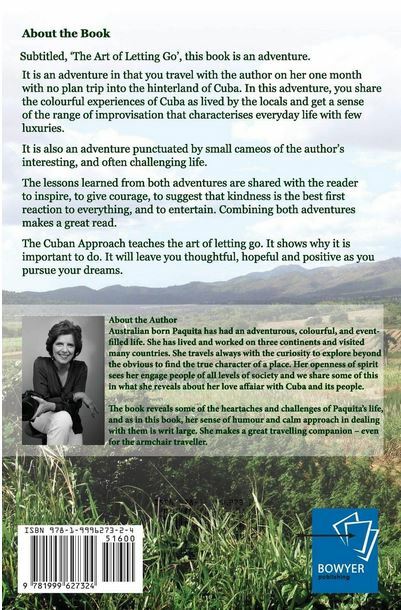 The Book 'The Cuban Approach' tells the story of a one month with no plan trip on the back roads of Cuba. It is an adventure within an adventure. It tells about the realities of Cuban everyday life. It is full of the colour and innovation and simple delights of that life. It also tells of its challenges and the workarounds often employed. It explains why a Chinese gooseberry is now called a Kiwi Fruit and has tales of the itinerant wanderings of Cuban Saints. It is like travelling with a knowledgeable and thoughtful friend. 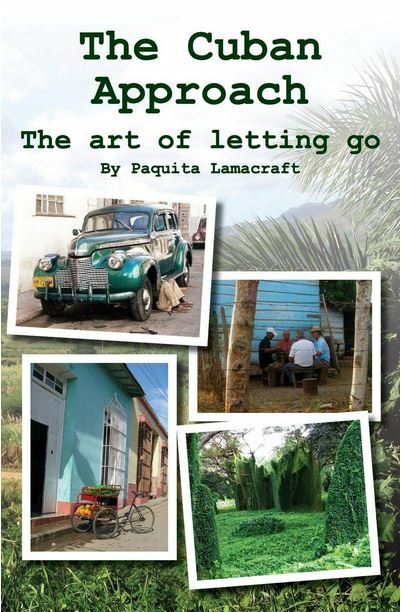 As you travel with the author you share her reminiscences of a life not always easy: of dealing with heartache, death, grief, and loss. You share her funny stories and moving moments of friendship. This trip into the suitcase of memories makes the whole adventure one that inspires. It is a story dedicated to all those who risk losing their dreams.